Have you always wanted to roller skate but are too scared to face plant? 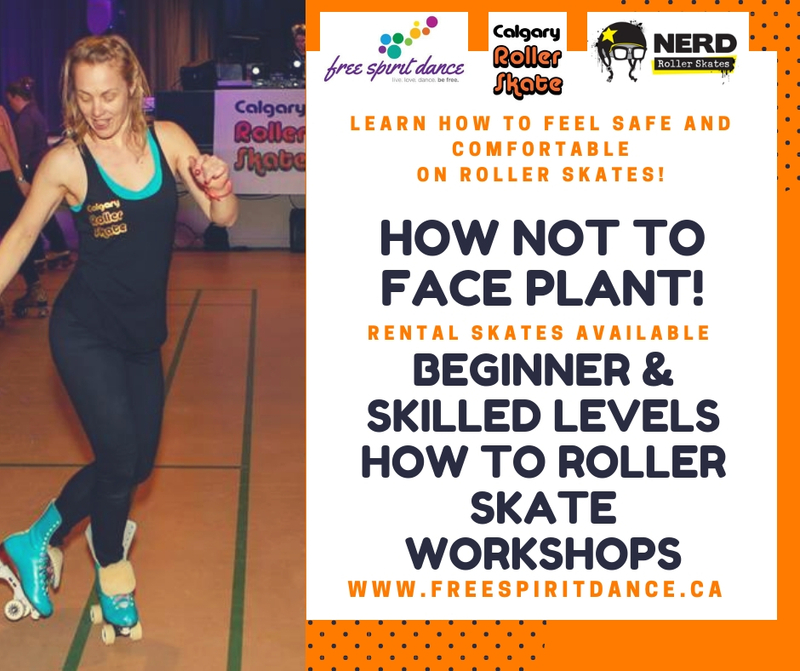 Or maybe you already can roller skate but would like to learn different skills to move past beginner such as: backwards skating, crossovers and more advanced ways to stop other than the toe stop? Roller Skating is unique and fun workout that can be enjoyed indoors and outdoors. We want you to be able to experience this amazing sport with confidence. Stay after class and practice in our open Jam Session for free! Our instructors are Skate IA Level 1 & 2 certified. BEGINNER: In this class you will learn how to balance, roll forward and stop with confidence. SKILLS: Learn how to backwards skate, crossovers forwards and backwards, mohawks, hockey stops, t-stops, jumps and more! RENTAL SKATES: If you need skates there will be an option to purchase “with rental skates” at checkout. Once registered, please email us your size at info@calgaryrollerskate.com. We need 24 hours notice if you need rental skates. If you want to inline skate we don’t have rentals but you are welcome to bring them and we teach both quad and inline. PROTECTIVE GEAR IS MANDATORY: You must have full gear for your safety. This includes a helmet, wrist guard, elbow and knee pads. We have protective gear that you can rent. Please let us know via email if you are in need of gear.